​ We love Architecture, and every Property is unique in it's own special way, but no Building is without flaws. We will help you thoroughly review your future Mixed-Use, Condominium or Apartment Building and give you the knowledge to be comfortable in your buying and planning decisions right now and in the future. Use our decades of extensive Mixed-Use building pre-purchase inspection, assessment and consulting experience to Empower your decisions. We serve a variety of clients including Owners, Investors, Property Managers, Lessees and CRE Real Estate Professionals. We utilize numerous special tools and devices to aid in our inspections from electrical meters and high-definition scopes to thermal imaging and drone photography. However, None of the aforementioned technologies are of much use in a property condition assessment unless you are first and foremost utilizing the only asset that really matters, a talented commercial construction professional inspection team. Our pre-purchase due diligence team is comprised of talented and experienced members of the architectural engineering and construction communities so we can properly identify issues as we see them. Our Services and Reports are absolutely head and shoulders above the competition in substance and accuracy and delivered in an interactive Adobe pdf format. Contact us for a Sample Report and Free Quote! 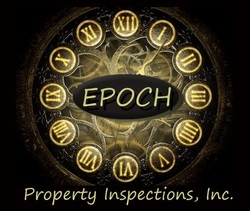 Accurate and Affordable Professional Multi-Residential Property Inspection, Multi-Residential Building Inspection and Multi-Residential ​Property Condition Assessment (PCA) Services. ​Avoid paying more than fair value for a property - Condition, Condition, Condition! A thorough pre-listing Real Estate, Condo or Apartment Building Inspection by a Professional Inspection expert is essential to establishing a well thought asking price. A pre-listing Real Estate, Condo or Apartment Building Inspection could also bring you up to speed on items that may show up in the buyers Inspection, then you will be ready to address these items in step during your negotiations. Perhaps there are items that could be identified and addressed even before your property is listed to help smooth and speed the process for everyone involved, saving everyone time and money! New buildings need to be inspected by the local municipal Code Inspectors for safety, but a new building also needs to be inspected by an independent Expert to verify construction compliance with current construction standards and compliance with your construction documents. We are experienced skilled new construction drawing and specification reviewers and inspectors. We can help you make sure that your new building is everything it is supposed to be, and everything you are paying for! Multi-Residential Pre-Purchase Property Condition Assessment (PCA) ASTM E2018. Phase I Environmental Site Assessment (ESA) ASTM Standard E1527. 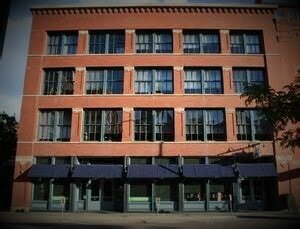 ​Multi-Residential and Retail Mixed-Use Building Inspection. Multi-Residential Maintenance Planning and Budgeting Survey and Report. Accessibility Compliance Survey and Report, Complete or Abbreviated. Specific Targeted Building Systems and Components Inspection. Site Condition Review, Parking, Drainage and Walks. ﻿Report the Systems and Components and Equipment Installed and their intended function. Determine the Condition and Functionality of the existing systems and components. Estimate the approximate age and serviceable life of installed equipment, components and systems. Make recommendations to correct any observed deficiencies, defects, or safety issues. Provide useful accurate Cost Estimates for recommended upgrades and repairs, immediate and reserve expenses. We Utilize the latest RSMeans costing data to ensure you have an accurate idea of what any recommended upgrades, replacements or repairs typically cost in the current market. ​Plan for short term and long term property and building maintenance expenses. Negotiate the items in your pending deals. Budget for beneficial improvements and upgrades. ​Monitor or Fix any potential functionality or safety issues. Negotiate with professional contractors to repair or replace deficient building systems and worn components. ​The valuable information provided you in a detailed report is well worth the investment! Any Questions? Follow up questions and advice regarding your inspected property are free for life after our Inspection report is complete, just call or e-mail. Our Services and Reports are Head and Shoulders Above the Competition in Substance and Accuracy. Your Detailed Multi-Residential Property Pre-Purchase Due Diligence Report will be delivered Electronically in an Interactive Adobe pdf format. Contact us for a Sample Report and Free Quote! What's included in a Commercial Building Inspection or Commercial Property Condition Assessment? - Click Here.